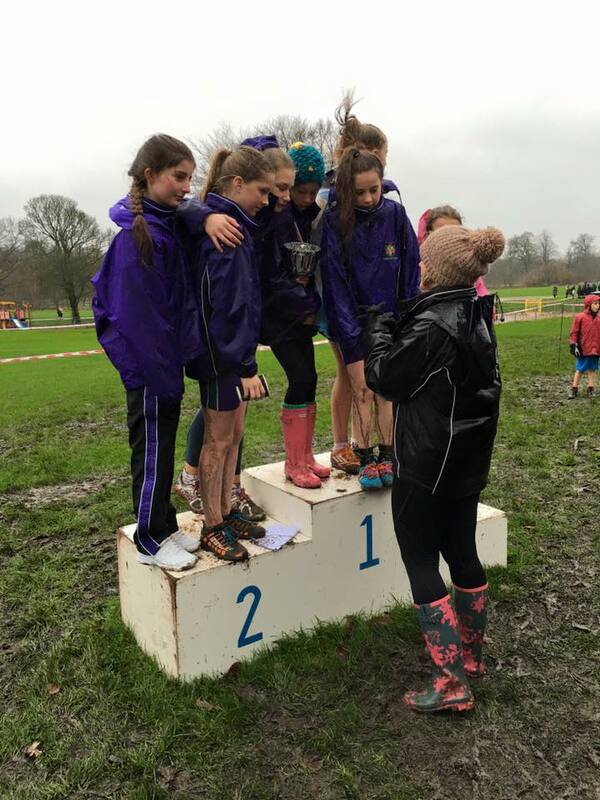 Seven Races at the Championships and Blackburn Harriers provided nearly twenty of the runners competing on the day – four winners and one runner up including a 1 – 2 – 3 in the Boys Year 8/9 Race – as well as a number of other Club members featuring in the Races. 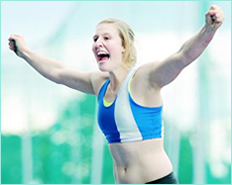 Names of a number of runners are not included in the Results, among which are some Blackburn Harriers. 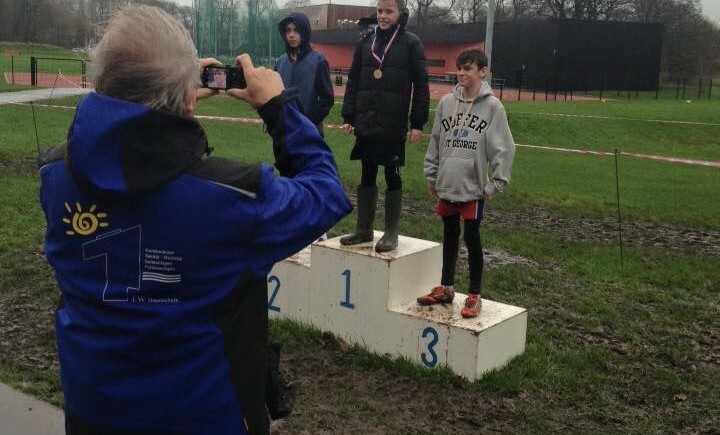 Harvey Ashworth was the winner of the Boys Year 7 Race (QEGS) with George Whittaker in 6th place (St.Wilfred’s). 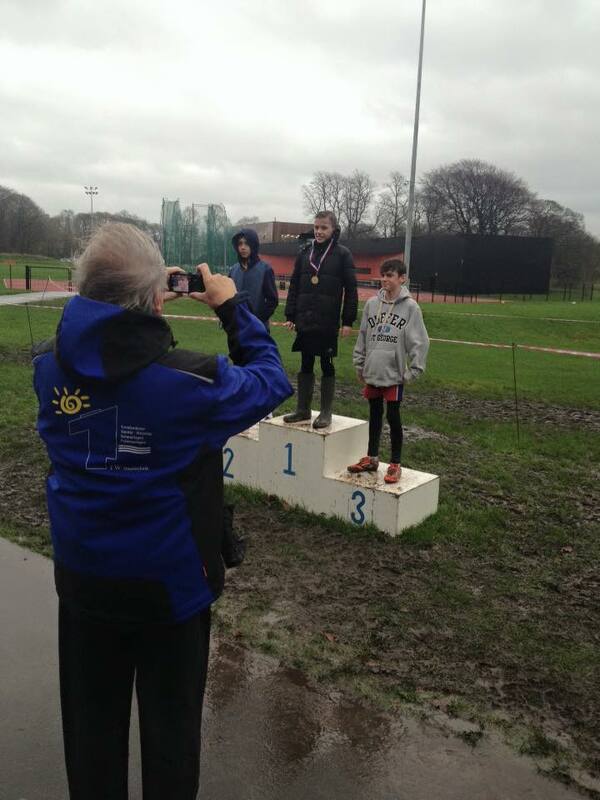 Matt Ramsden (St Bede’s) led a one, two, three trio of Blackburn Harriers in the Year 8/9 Boys race winning it from Leon Thomas in 2nd (St.Wilfred’s) and Charlie Obank (QEGS) in 3rd place. Jimmy Walpole came in 7th (DACA). It was a great finish in the home straight in the Year 10/11 Boys with Zak Hargreaves (DACA) just losing out on the finish line to Kacper Gluc after a real sprint battle between the two lads. Nick Smith (St.Wilfred’s) finished in 4th place. First off in the Girls Races (Year 7) was new member Caiden Hesketh who finished 3rd (St Bede’s) with Judie Hoole 4th (Darwen Vale), Christie Sturgess 6th (Westholme), Millie McKee 9th (DACA) and Katie Lord 12th (St. Wilfred’s). 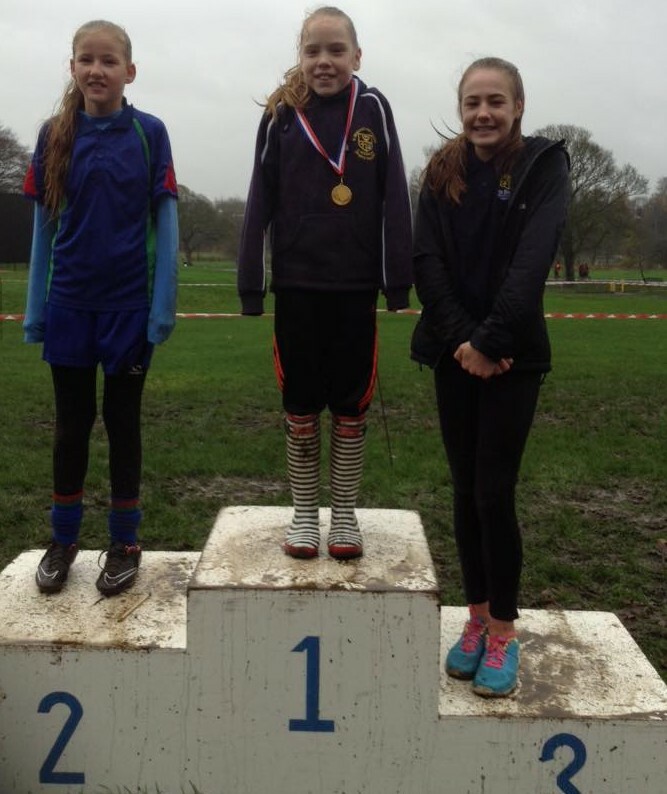 In the Year 8/9 Girls Races Amy Davies was the clear winner with Anna Lonsdale 4th (Westholme). The names of the other girls in the Race are not known at this stage. 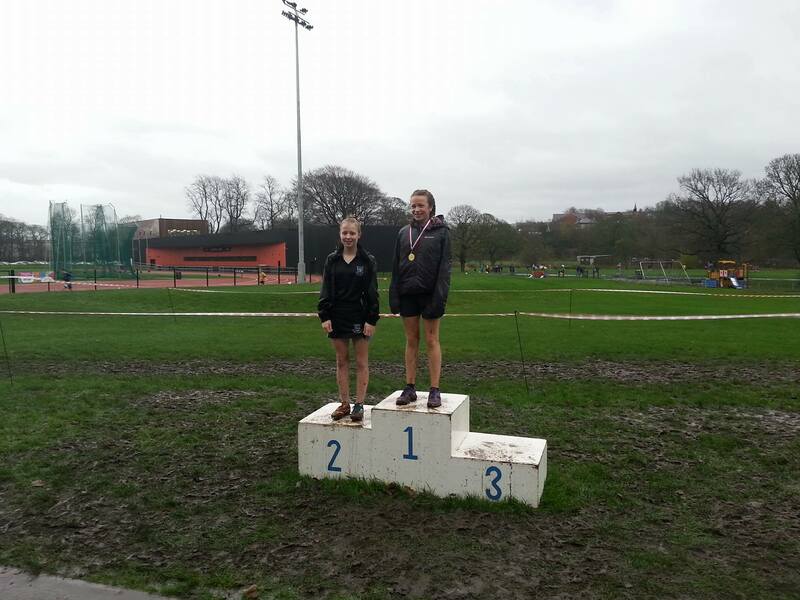 Maddie Elliott was the winner of the Year 10/11 Girls Race helping St Bede’s to win the Team race, emulating the Year 8/9 St Bede’s Girls who also won the Team. In 2nd place was Chloe Bleeks (Witton).